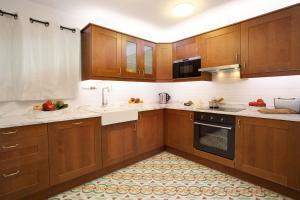 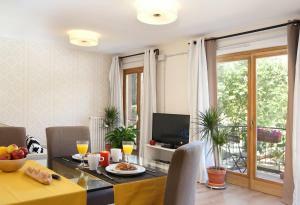 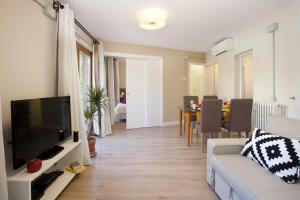 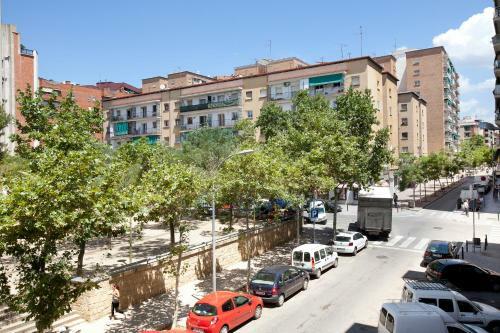 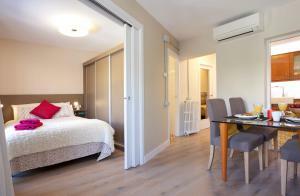 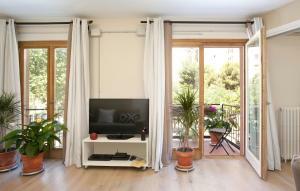 Alcudia apartment is located on the outskirts of Barcelona, 6 km from Plaza Catalunya and Ramblas. 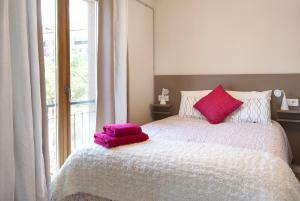 It comes with a large, furnished balcony with city views, and free WiFi. 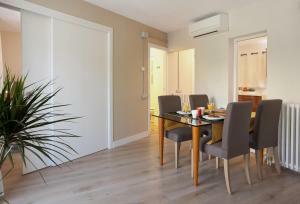 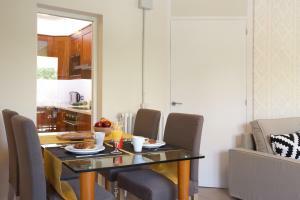 The apartment at Alcudia features a large living room with a corner sofa, a flat-screen TV and a DVD player; and a modern kitchen completed with an oven, a dishwasher and kitchenware. Several shops and supermarkets are in the surrounding streets. Located in a residential area of Barcelona, Alcudia Apartment is well communicated by public transports with the all city. 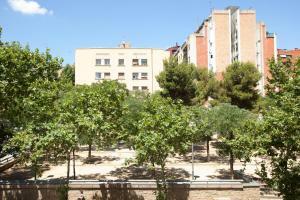 A 30-minute metro ride will take you to Sagrada Familia. 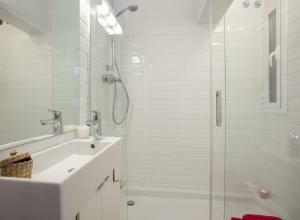 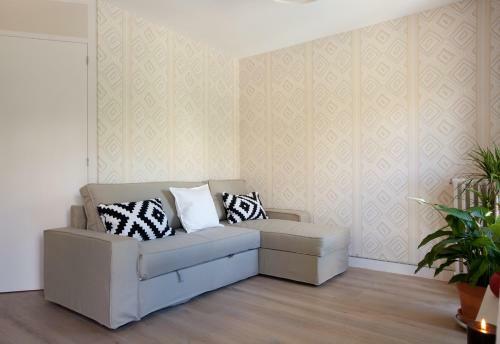 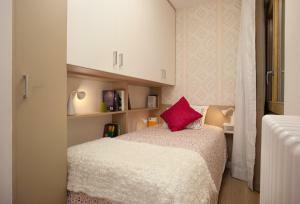 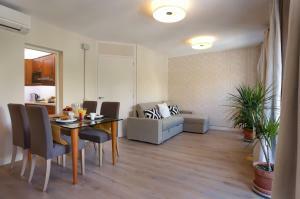 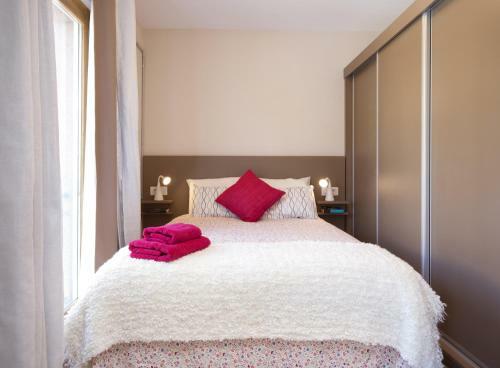 This bright apartment offers 1 double bedroom and 1 bedroom with single bed. 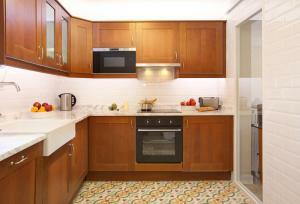 The kitchen is equipped with an oven, a dishwasher, and kitchenware; while the bathroom comes with a hairdryer. 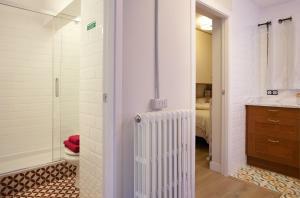 There is a washing machine and bed linen and towels are also provided. 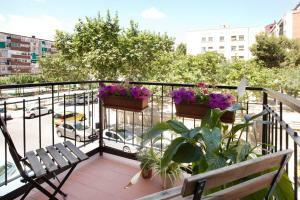 This apartment has a large furnished balcony with garden and city views.